Newland create a new conception of UV Open Channel System developed to be able to offer our customers the best solution to their problems. UV is part of electromagnetic spectrum, its wavelength locates between 100nm and 400nm, sterilization wavelength locates at spectral region from 200nm to 310nm, UVC wavelength locates between 200nm and 280nm, UVC also be called as germicidal UV. Modern UVC disinfection technology bases on optics, microbiology, chemistry, mechanics, electronics, fluid mechanics, air-dynamics and civil engineering, through strong UV light produced by C-band UV generator which is specially designed with high efficiency, high strength and long lifetime to irradiate air or water. 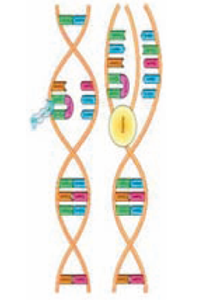 When bacteria and viruses in water or air bypass UVC radiation zone, UV light would penetrate cell membrane and cell nucleus of microorganisms, destruct molecule-keys of nucleic acid, make it lose its reproduction ability or activity, then microorganisms would soon die because of losing reproduction ability so all bacteria and viruses in water or air would be killed without using any chemicals. 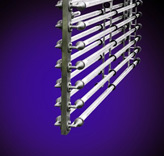 The modern UV-e Disinfection Technology employs strong UV-e light (T254nm) to radiate water or air. When bacteria and viruses in water or air pass through UV-e irradiation area, UV-e will penetrate the epicyte and nucleus of microorganism and damage the molecular bonds of nucleic acids (DNA or ANA) , which deprives the microorganisms of replication capacity or activity. In this way, all the bacteria and viruses in the water or air or can be eliminated without using any chemicals. UV-e disinfection does not produce any secondary pollutants and belongs to the latest generation of international disinfect ion technology. The optimization of UV Open Channel Systems is a multi-disciplinary engineering process based on optics, biology, chemistry, mechanics, electronics, fluid mechanics, aerodynamics and other disciplines. 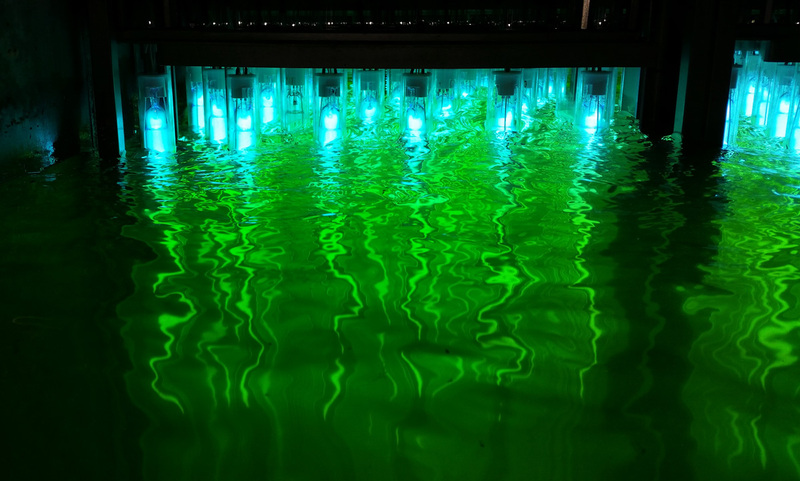 The arrangement of UV-C lamp modules greatly affects the contact of target organisms with UV-C radiation, and is therefore one of the most important factors of the disinfection effect. 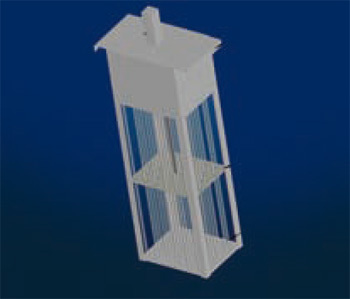 Newland offers two types of lamp arrangement – horizontal and vertical. The traditional horizontal arrangement has been successfully used to treat all ranges of wastewater at various flow rates. The innovative vertical arrangement offers better. 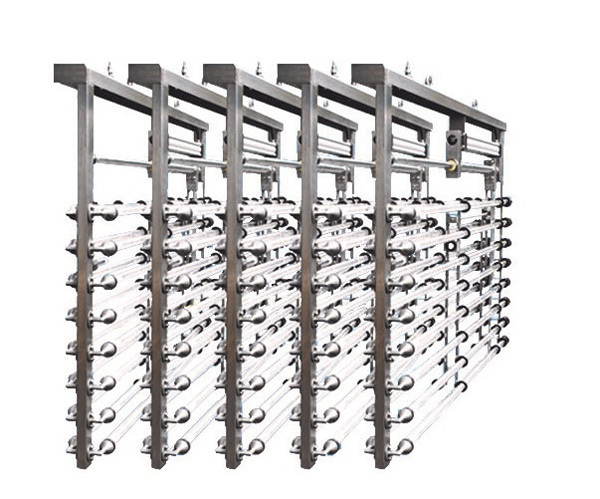 Newland NLQ – K / V UV Open Channel Series adopts vertical modular design. Each UVC disinfection module consists of a stainless steel frame, several UV lamps, quartz sleeve with high transmittance, automatic cleaning system, power distribution system and data acquisition system. The installation mode for lamp and quartz sleeve is vertical, and lamps are staggered (the section looks like Plum blossom shape). 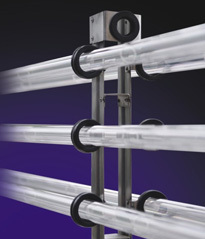 The whole UVC disinfection system consists of several UV disinfection modules. The staggered array mode for lamps is much more conducive to the formation of turbulent flow pattern. The particle in the water could be irradiated by UV light much more equally. It can improve the lamp efficiency and disinfection effect. When the flow becomes smaller or the water quality becomes better, we could turn off UV modules one by one, even line by line in proportion according to requirements, which is energy saving and consumption reducing. On the contrary, when the flow becomes larger or the water quality becomes worse, it is convenient to increase modules without stop flow in the original construction conditions. 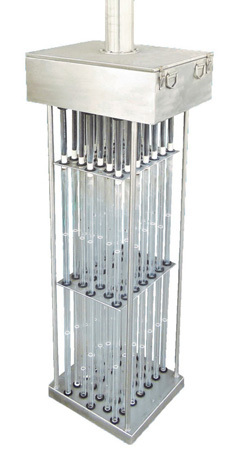 The vertical type module is suitable for large quantity water disinfection. Since all underwater materials are made of 316L stainless steel, the lamp socket, power supply socket and a UV lamp wire in the system are all lay in closed module. Then are not exposed to sewage water and UV light. 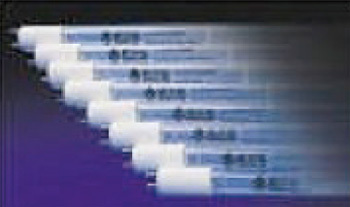 All the sealing ends of UV lamps and quartz sleeves are not immersed into water. Remove the single lamp directly when maintenance. It is very convenient, and not necessary to lift the whole module. The sealing ends of quartz sleeves are not immersed into water, which is greatly improve the lamp efficiency and extend the lamp lifetime. There are baffle plate and reflecting plate installed in the bottom. The baffle plate makes all flow pass Effective length of arc, ensuring water disinfection totally. The reflecting plate can further promote turbulence, ensuring to improve the disinfection effect of UV module. 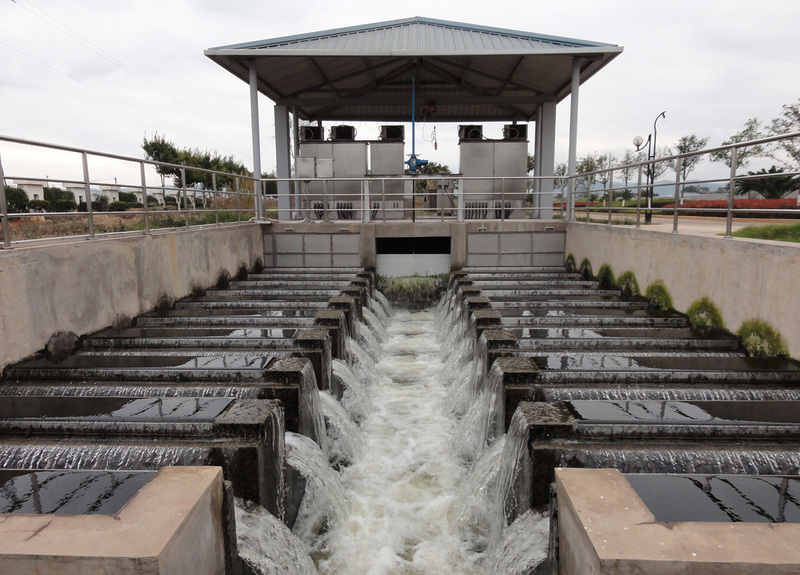 Modular design is being used by Newland for NLQ open channel water disinfection system. Each module consists of a stainless steel lamp brackets, multiple UV lamps, quartz sleeves with high transmittance, auto-cleaning system, ballasts and data collection system. Thanks to the modular design, the UVC disinfection system is easy for installation and O&M. Modular material of 316 L stainless steel is corrosion-free. UV lamps and signal cables are enclosed in the module, protected against effluent and UV irradiation. Lamp sockets, power sockets and UV lamp cables are all enclosed in the inner components, no expose to sewage. The entire module brackets are installed above sewage in open channel, each module is a separate setting without the need of firmly hanging above sewage, therefore, when replacing the lamp or quartz sleeve, each module can be pulled out separately without affecting the other modules. Module lamp socket structure is designed with the latest patent of Newland the structure meets the fluid mechanics characteristic, increases pass-flowing area, which can effectively reduce the head loss of UV Open Channel Module, and with good sealing performance and maximum corrosion-free safety. Modular design is being used by Newland for NLQ UV Open Channel water disinfection system. Each rack consists of a stainless steel lamp bracket. UVC rack is composing of UVC module group, and the entire UVC disinfection system consists of several module groups, easy for installation, O&M. Newland UVC lamp is the core of UV wastewater disinfection system. The lamps used in Newland UV disinfection systems are pulled out imported ones, the world first-class low pressure high intensity lamps. The power of each lamp could be 155W-320W, output of UV higher than 40%, lifetime of lamps higher than 12000 hours. According to international fused quartz sleeve standards, Newland quartz-sleeves are made from heat-resistant materials that include low OH, possess advantages of high-purity, high-transmittance. This kind of quartz sleeve applies to mercury and other quartz lamps. In Newland NLQ series open channel UV disinfection system, UV lamps are sealed into the high-transmittance quartz-sleeves, wire inner and outer with waterproof materials, ensure insulation between different UV lamps, and protect level reaches IP68. The Newland UVC module cables are sealed in the UV shelf, up to IP65 protection level. Joint sealing device designed specially to prevent module for leakage in flood situations, ensuring that the module still works even in water immersion. The connection system can be easily assembled and disassembled, does not affect the other modules when cleaning and maintaining a single module. Another advantage of Newland NLQ series is that the ballast has good stability and heat-emission, with a power factor higher than 0.99.The ballast is controlled by microprocessor and its power could be adjusted from 50% to 100%. The ballast module is being designed according to the consumer’s requirement, has the CE certification, and UL certification is undergoing. Ballasts are enclosed in the ballast cabinet separately with the protection grade of IP55, to be protected against dust and damage to electronic parts. Air conditioner is installed inside the cabinet. Indoor and outdoor cabinet is made from carbon steel spray and 304 stainless steel respectively. Ballast module has a compartment that for connecting the wires. From the central control cabinet, power reaches the ballast cabinet and from here to box accepts the power from central control cabinet to each UVC disinfection module, and also transmits the detection signal of UV disinfection module intensity probe to the central control cabinet. Design benefits: The ballast module provides a better environment for maintenance in cold or hot condition. Three-phase equilibrium design is used into Newland NLQ UV Open Channel series control system can avoid the unsafe factor caused by imbalance of three-phase. Electronic control system monitors and controls all of the parameters through human-machine interface (HCI), including monitoring UV lamp state, UV intensity, auto-control of lamp intensity, timing, water temperature and UV transmittance; this will facilitate the operator to monitor the operation of the whole UV disinfection system. 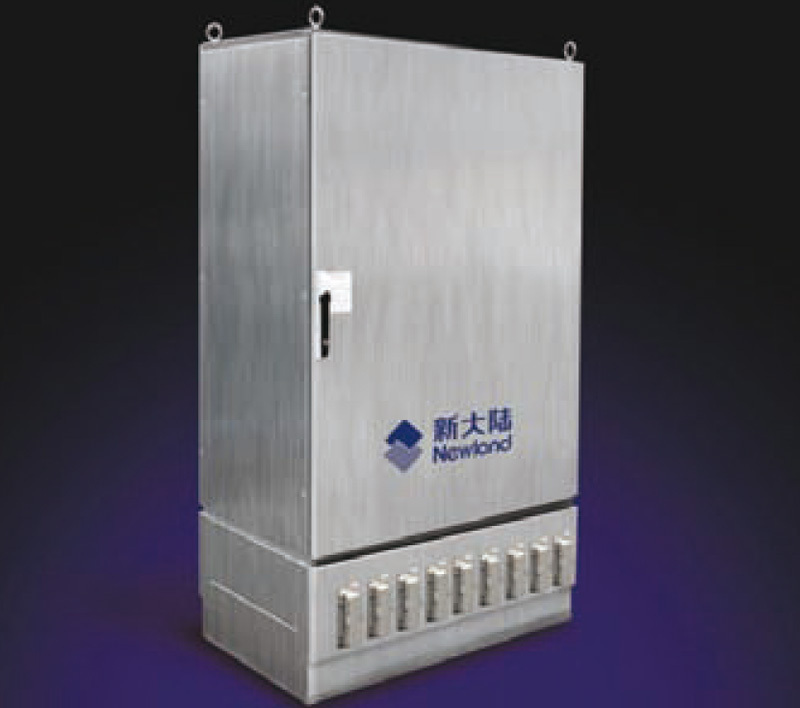 Newland selects the suitable PLC type and interface according to customer’s requirement. The standard is Siemens product. When any lamp fails, the alarm system would indicate the faults type and positon through sound, light and image. UV sensor is installed in the water, 316L stainless steel is used for outer parts of the sensor. Each module has one UV sensor to collect UV intensity data. UV sensor could also monitor the water transmittance and UVC output for a long time. The control center of Newland NLQ series would be put on the desk of technicians in the wastewater treatment plant. It is connected with a computer, using Newland operation manual software. The graphical interface displays the latest information of the UV disinfection and with the “help” menu creates convenience to the users. System control center would also provide most of the UV monitoring, runs remote monitoring and control, and realizes all the functions of HCI and long-term data storage. Customer can connect RS-232 serial with system control center to get the latest analytic data of the UV disinfection system state. Cleaning frequency can be adjusted, through the interface and remote control can realize remote manual-cleaning or auto-cleaning. System offers graphics and operating menu. Password can be changed so the operational procedure will not be interrupted. The system has UV control, monitor and alarm functions. 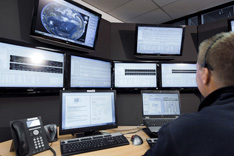 All the data above can be transmitted to system control center and being analyzed quickly through asynchronous communication way. The software can be upgraded. The lamp fouling eliminates the UV light intensity. Newland NLQ series introduce self-patented technology to auto-mechanical cleaning and chemical cleaning in any period of time without stopping the system. Newland patented chemical cleaning technology ensures the cleaning of lamps in any wastewater, which improves the disinfection efficiency greatly. Air compressor driven cleaning system is more reliable, clean and environmental friendly. More reliable clean and environmental friendly to drive by compressed air than other methods. Cleaning by human should interfere the regular disinfection effect. Three systems used for water level control of Newland NLQ series, it can also be custom designed. 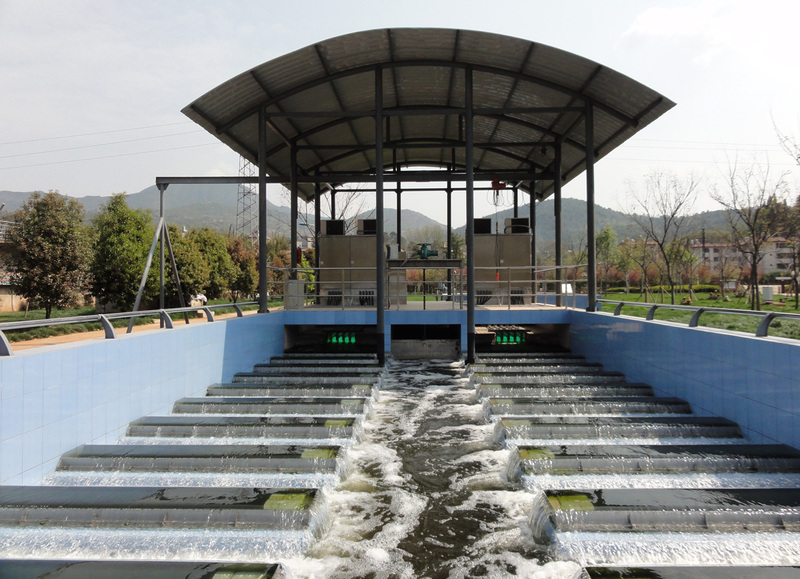 The weir selects the thin-wall form, the out-flow length should ensure the water level change between 0-50 mm under the condition of zero flow to peak flow, and all the lamps should be submerged to ensure the disinfection effect. Under the condition of zero flow, the lamp still submerged in water, avoid the leak of UV and dry-bum the lamp, system operate more reliably. Installed at the end of the disinfection channel. Maintain one lowest water level and minimum water level change; lamps are submerged under water in this change range. Sensor of low water level: system consists of one low water level sensor, when the water level in the channel lower than normal water level, lamps would auto-off; ensures the reliable running and little investment. Level controller implement automatic control of electric Weir through the control center. Easy to control the disinfection system with higher change of water quantity. Small footprint, suitable for large water UV disinfection system. The crane is being used for installation and maintenance, thanks to the modular design. The whole system can be in operation while one of the modules is under maintenance. 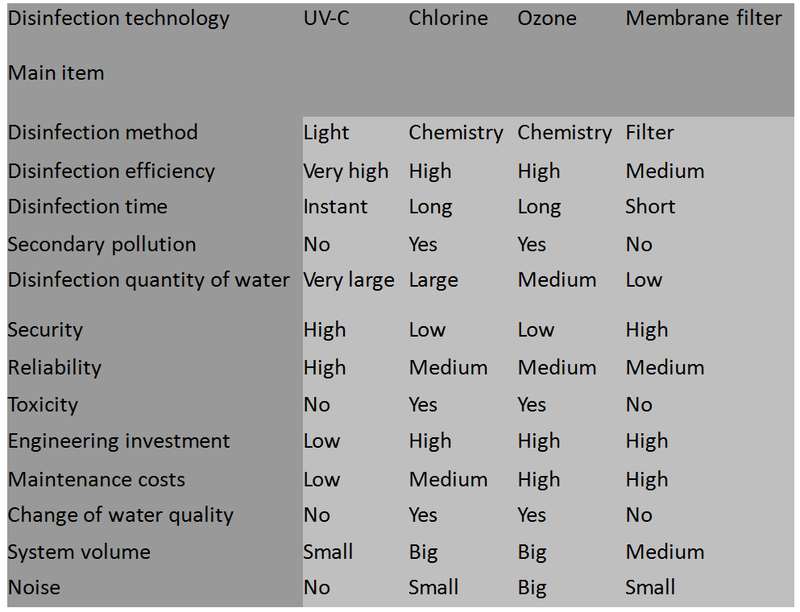 For UV disinfection sewage treatment process design, there are several factors should be considered, such as water source, treatment process, treatment flow at that moment, expansion requirements in future, treatment standard, and so on. On the premise of understanding the process and parameters fully, Newland will combine product itself and set the best design, ensure the disinfection effect even in disadvantaged circumstances. In addition, the various components of system also can guarantee the normal operation of entire disinfection system. Newland NLQ series open channel wastewater disinfection system introduces advanced UVC disinfection technology, bases on special process design, high efficiency, high strength and long life UV-C lamps, reliable electronic ballast and electronic control system, through the function of UVC that has high efficiency, broad-spectrum capacity to kill bacteria, viruses and other pathogenic microorganisms, to achieve the purpose of water purification and disinfection. When designing the system, we take full account of the decreased lamps’ output intensity in the lifetime and fouling of the quartz sleeve surface which may reduce the dose and the germicidal efficiency. 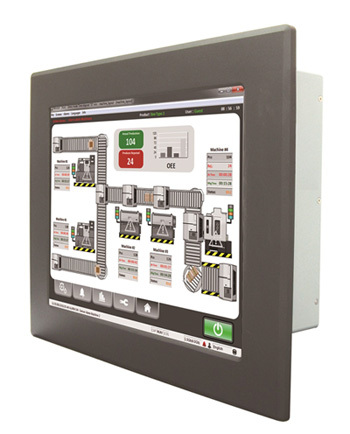 Monitor system: can monitor UV intensity, with auto-monitoring system which can reduce maintenance cost. Auto-cleaning system: high efficiency, automatic, without secondary pollution. Simple operation: the power on and system runs for 24 hours successfully. Without secondary pollution: no secondary pollution, friendly to water body, environment and operator.